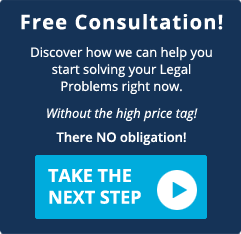 Why Do You Need A Divorce Lawyer? What Will A DWI Cost Me? What is the New York State Driver Assessment Fee? What Are The Other Ramifications Of Getting A DWI Conviction? If I Am Charged With A DWI Will I Have To Plead To A Misdemeanor? If I Am Convicted Of DWI Will I Have To Have A Device Installed On My Car? What Penalties Can I Expect If I Am Convicted of an Alcohol Related Offense? Can I be convicted of speeding when no speed limit is posted? Will merely explaining what I believe really happened necessarily be sufficient to have the charge dismissed? Will I still be able to fight my ticket if I miss my court date? Should I rely on the information I receive from the police officer? Are mistakes on my summons grounds for dismissal? Will a summons received while driving my personal vehicle affect my CDL? Should I always pay a summons which doesn't carry points? Can a lawyer defend my case in court without me? Attorney: For a first-time DWI charge you can expect to pay an attorney anywhere from $1,500 to $5,000 to represent you and negotiate a disposition with the district attorney’s office. That amount generally does not include representing the client at a trial. Trials are almost always an additional cost. Evaluation: You will need to have an alcohol evaluation for your attorney to provide to the district attorney’s office. The evaluation can cost between $200 and $500 and if the evaluator determines that the driver would benefit from alcohol treatment, the treatment programs can run from $500 to $4,000. Fines: For a first-time DWI, there will be a mandatory fine of between $300 and $500, as well as a $265 mandatory surcharge. DDP: The enrollment fee for the mandatory Drinking Driver Program is $300. Driver Assessment Fee: In addition, you will be subject to New York’s Driver Assessment Fee (NYDAF). The NYDAF is $250 annually for three years for a total of $750. Insurance Costs: Lastly, if your insurance company does not drop your coverage altogether, you can expect your insurance rates to increase dramatically. New York now requires drivers who are convicted of specific offenses to pay an assessment fee to the DMV. The program applies to all drivers who operate, or operated, a motor vehicle in the state of New York. The driver assessment fee is in addition to any fines, fees, penalties, or surcharges that you may pay for a traffic conviction. 1) anyone convicted of an alcohol-related matter that took place after November 18, 2004 (including offenses involving boats and snowmobiles). The annual assessment is $250 a year for three years. Total: $750. 2) anyone convicted of a drug-related traffic offense that took place after November 18, 2004 (including offenses involving boats and snowmobiles). The annual assessment is $250 a year for three years. Total: $750. 3) anyone found, after a DMV hearing, to have refused a chemical test after November 18, 2004 (including offenses involving boats and snowmobiles). The annual assessment is $250 a year for three years. Total: $750. 4) anyone who has received 6 or more points on their New York State driving record during an 18-month period, and the violations occurred in New York State, Quebec, and/or Ontario. The annual assessment is $100 a year for three years. Total: $300. If you have more than 6 points on your record during an 18-month period, the annual assessment is $25 for each point over 6 points, for each of the three years of the assessment. Out-of-State Traffic Tickets How do they affect a driver who holds a valid New York State driver license? Generally: New York State does not record out-of-state violations committed by New York State drivers in other jurisdictions. Therefore, points are not added to your New York State driving record for out-of-state violations. Exceptions: Alcohol-related violations, drug-related violations, and moving violations committed in Quebec or Ontario. By a special agreement, traffic convictions from those two locations are recorded on a New York State driver license and carry points. Additionally: If a driver does not respond to a ticket, or fails to pay a fine in any state except Alaska, California, Michigan, Montana, Oregon, or Wisconsin, the DMV will suspend your New York State driver license until the out-of-state matter is resolved. Finally: If a New York State license holder receives a conviction for an alcohol- or drug-related conviction in another state, the New York State driver license will be revoked for at least 6 months. Time away from work or school to attend hearings, court appearances, alcohol evaluations, meet with one’s attorney, or to meet with probation, if required. Incarceration, depending on the circumstances of the case. The social stigma associated with the arrest and conviction. Not in all cases. Depending of the facts of your case, your attorney may be able to negotiate with the district attorney and have your misdemeanor-level DWI charge reduced to the violation-level offense of DWAI, Driving While Ability Impaired by Alcohol. If a driver is found to have a blood alcohol content (BAC) of .18 or higher the charge will be Aggravated DWI. This enhanced charge requires the defendant to plea to a misdemeanor-level offense, unless a reason for a reduction of the charge to a violation is put on the record by the court and the district attorney. What this means is that the typical offer to a first-time DWI offender with a low BAC (which generally means a BAC of .08 to .18) cannot get the benefit of a lowering of the misdemeanor to the violation-level offense of DWAI. In addition, there are enhanced fines and suspension penalties imposed for a conviction of Aggravated DWI. Yes, New York State requires the installation of an Ignition Interlock Device (IID) for any driver who is convicted of a misdemeanor or felony DWI offense. This device requires the driver to blow into the device before the vehicle’s motor can be started. Then, periodically while the vehicle is in motion, the driver must blow into the IID in order to keep the vehicle operational. If a driver blows into the IID and the unit detects alcohol, the unit will log the event, notify the driver that the pre-set alcohol level has been exceeded and an alarm will sound until the vehicle is turned off. The IID is required to be installed in a convicted driver’s vehicles for a minimum of six months. The convicted driver must have the Ignition Interlock Device installed in any vehicle that they own or operate for a minimum of six months. The driver is responsible for the cost of installation and monitoring. Leandra’s Law was signed into law in 2009 and is named after Leandra Rosado. Leandra was an 11-year-old girl who was killed when the driver of the vehicle in which she was a passenger -- a family friend -- was intoxicated and flipped the car on the Henry Hudson Parkway in New York City. Leandra's Law makes it a felony on the first offense to drive under the influence of alcohol with a person age 15 years old or younger in the car. A driver who operates a motor vehicle with a passenger who is under the age of 16 will be charged with a Class E felony punishable by a period of incarceration of up to four years and a fine up to $5,000. If a driver causes the death of a person under the age of 16, the charge is aggravated vehicular homicide, a Class B violent felony. For a first-time DWAI conviction: A driver convicted of a first-time DWAI in New York State, a violation, will face a mandatory 90-day suspension of their driver license, a jail sentence of up to 15 days, and a fine ranging from $300 to $500. These penalties are enhanced for every subsequent DWAI conviction. For a first-time DWI conviction: A driver convicted of a first-time misdemeanor DWI in New York State will face a mandatory one-year suspension of their driver license, a jail sentence of up to one year, and a fine ranging from $500 to $1,000. For a first-time Aggravated DWI conviction: A driver convicted of a first-time misdemeanor Aggravated DWI in New York State will face the same penalties as a first-time DWI, but with longer suspensions of the driver’s license. For Felony DWI: For a driver who is convicted of felony DWI in New York State, the penalties are a fine ranging from $1,000 to $5,000, a prison sentence of up to four years, and a minimum one year driver license revocation. What Happens If I Am Under 21 And I Get Charged With DWI? New York State has a Zero Tolerance Law regarding persons under the age of 21 who are caught drinking and driving. It is illegal for a driver under 21 to have consumed any alcohol. If the driver's blood alcohol content (BAC) is between is .02 to .07, the driver will be required to appear at a DMV hearing. If the charge is found to be valid, the penalty is a six-month license suspension, a $125 civil penalty, and a $100 suspension termination fee. If the driver gets a second conviction before age 21, the penalty is a revocation of driving privileges for at least one year or until age 21, whichever is longer, plus a $125 civil penalty and a $100 license re-application fee. Yes! For example, the speed limit in NYC is 30 miles per hour when there is no sign posted. Simply disputing the facts put forth by the officer will generally be unsuccessful. Arguments which are based on legal principles typically result in better outcomes. Cross examining a police officer in court is a skill that is acquired through years of experience. Conducting your own cross examination of the police officer may hurt your case rather than help it. Many times it is possible to reopen a case even though the summons was unanswered or a default conviction has been entered. The officer may provide incorrect information. For example, an officer may tell you that a summons does not carry points when that is not the case. The officer is not obligated to provide you with legal advice. Although some mistakes may play a part in obtaining a dismissal, the Judge's focus is usually centered on the infraction that you are charged with. If the police officer fails to appear, will my case be dismissed?— When the officer's absence is due a legitimate reason such as illness, death in his family or a conflicting court appearance, the court will generally reschedule the case. No. For example, paying no point summonses such as a cell phone ticket may still cause insurance premiums to increase. In addition, too many no point tickets may prevent you from renting a car. 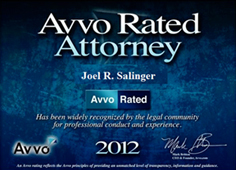 In most cases, the motorist does not have to appear if they have retained an attorney.